ADIVAN has always emphasised the optimisation of media production process. By developing our equipment we flow our experience directly into design of new machines. 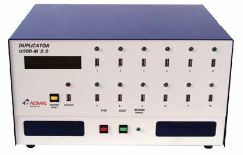 Just-in-time business practices mean that the demand for small runs of CDs, DVDs, BDs and USB Flash Memories is rising. 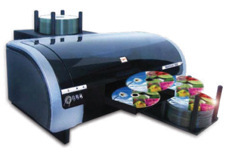 With ADIVAN duplicators/printers you are able to copy/print small and medium quantities within a matter of hours, independently and efficiently. For the very first time, the SnapNPlay CD gives you the possibility of interactive ticketing. It contains a flap to be broken-off and is often used for entrance tickets, various events and competitions. The SnapNPlay offers a capacity of 30 MB to store multimedia presentations, videos or information about an artist or musician. has the size of a usual PostCarD. 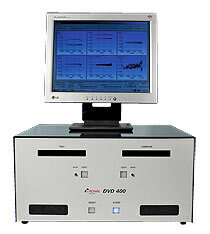 The CD or DVD can store your company presentation as well as a video or music. 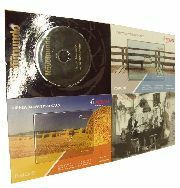 Print the PostCarD and the CD or DVD with your individual design and give your customers the possibility, to learn more about your company! High response guaranteed! Finally there is a clever packaging for Mini-DVDs and CarDs! The box looks like a normal DVD-Softbox with transparent film on the outside for an inlay and two clips for the booklet inside, but the format is 125 x 88 mm (opened: 125 x 184 mm). These new boxes are the perfect solution for an eye-catching and exclusive product. You can use them for promotion, advertising and many other applications. Are you interested? Please contact us for more details and samples! Quality measurement of all types of formats and also to compare Data to Data. 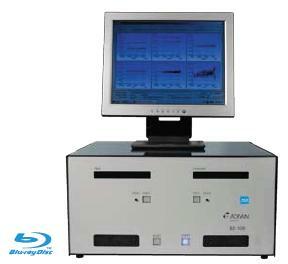 Built for quality control to insure your HD-DVD manufacturing process.